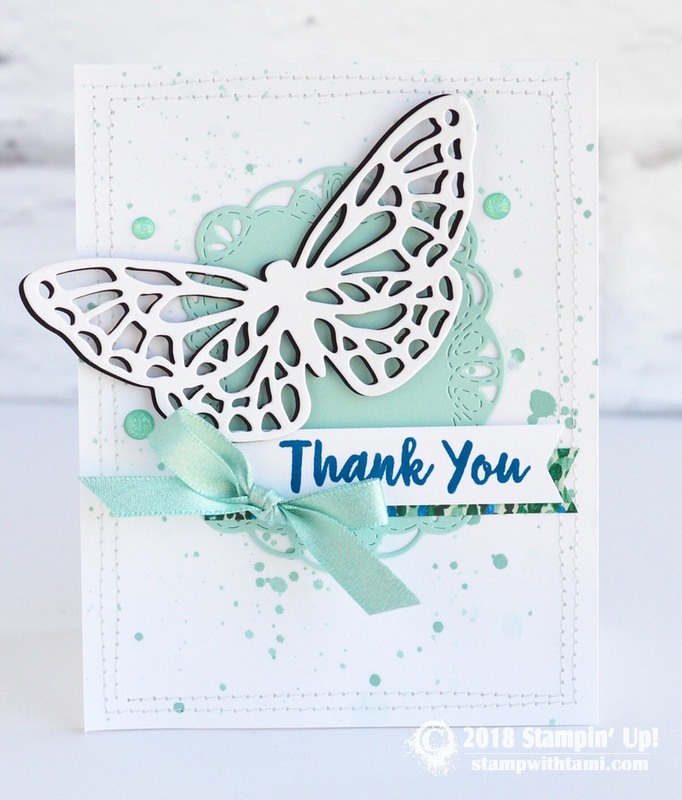 Beautiful butterfly “thank you” card from the Stampin Up Abstract Impressions bundle. Stamp Set and Springtime Impressions dies. The pool party background shape is cut from the Stitched Labels die set. A Pool Party shimmer ribbon bow completes the card. How is the stitches made around the card?? Is it actually sewn on a sewing machine?? Very pretty I like the speckes on the card ! This is such a beautiful card. Did you make the background splatter with a stamp or some other means. Please share if you can.